I'm trying to decide if I should refinance my mortgage. I'm trying to decide if I should refinance my mortgage. I have two mortgages: One is a 30-year fixed and the other is a home equity line of credit, which I used to purchase the home, as I didn't have 20% to put down. The 30 year fixed is at 6.5% and has a balance of $172,273. The home equity is at 7.375% and has a balance of $36,211. I purchased the home for $238,500 about 5 years ago. I'm guessing it will appraise for about $240,000. I currently make extra payments to both mortgages: I pay $1309 to the 30-year and $650 to the home equity. I think it would make sense to consolidate these into one 30-year fixed rate if I could get an interest rate of 5% or less. If I keep making the same payment of $1959 per month, I think I'll get the loans paid off a lot sooner and I'll save money in interest. One concern however, is that I may have to start paying PMI because I might not have 20% equity yet. Even so, my guess is it would make sense to refinance because PMI payment would not be close to the amount of interest that I would save. Is there any advice or information you could offer to help me make my decision? Thanks. Understand the total cost of a mortgage loan refinance. A refinance can lower the total cost of your mortgage loan significantly. A cash-out refinance loan can help you pay for remodeling or college. The quick answer is YES! You could qualify for a 30-year fixed-rate with an interest rate as low as 5% today. That interest cost savings, plus making more than the minimum payments, will accelerate your principal pay-down and you could be out of your mortgage in a much faster time period. Additionally, rates are VERY low by historic standards so locking in now is a great idea. You can apply for quotes with Bills.com or contact your local lender, but seek out a “conforming loan” and see if your house appraises for enough to get you 20% of equity. 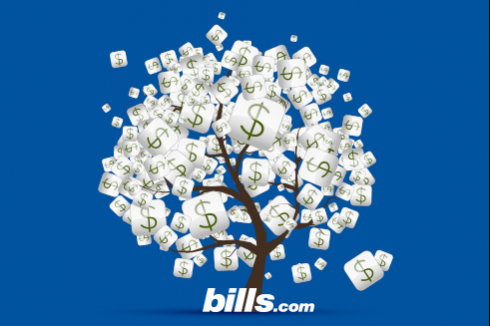 Bills.com makes it easy to compare mortgage offers and different loan types, just apply for free at the Bills.com Mortgage Refinance Quote page and see what best suits your refinance needs. No matter what, you should apply and see what happens, you will almost certainly get a lower rate. If you would like to read more about mortgage refinance loans, I encourage you to visit the Bills.com Home Refinance Resources. Now, for more background on the process, here are the main considerations that a lender will consider three factors; credit history, LTV, and DTI. Your credit history is a major consideration when you are shopping for a new mortgage. A favorable credit score will increase your chances of finding the best loan with a low rate and low points, since you will qualify for better interest rates than those available to people with credit problems. Currently, the average interest rate for a new 30-year fixed-rate loan is 5.55%, and the average FICO credit score is 723. So, if your credit score is better than 720, you should expect to qualify for an interest rate of around 5.55%, or possibly lower. However, if you have had credit problems in the past, you could be forced to pay a significantly higher interest rate, which could make your monthly payments much higher. For example, the monthly payment on a $100,000 30-year mortgage at 6.5% is approximately $630, plus insurance, taxes, and so on. If the interest rate on the loan increases to 9.5%, the monthly payment increases to $840, an increase of over $200 per month. As you can see, your credit score, which is one of the major determinants of your interest rate, is extremely important when shopping for a new mortgage. The amount of equity you have in your home (or its inverse — the loan-to-value or LTV), and the length of time you have been paying on your current mortgage will also be major considerations. In order to lower your payments, you must either obtain a loan with a lower interest rate than your current mortgage, find a mortgage with a longer repayment term, or borrow less than the original balance of your current mortgage. For example, if you have $60,000 left to pay on a $100,000 mortgage, you could cash out $40,000 in equity and keep the same monthly payment as the old loan, assuming the interest rate and loan term remain the same. However, if the balance of your new mortgage will be more than that of your old mortgage, you must either find a lower interest rate or take a loan with a longer repayment term, if you want to keep your monthly payments the same. The ways to build equity are to either pay down your mortgage over time or to build equity by your home appreciating. The third big variable is your debt to income ratio, or DTI. Debt to income is taken as a measure of your ability to comfortably make payments on the mortgage with your cash flow. Most lenders look at combined DTI, so the percent of your income that goes to debt payments (including mortgage, auto loans, credit cards, etc) to make sure that you can afford the loan. Some borrowers will allow stated income loans, where income is not formally verified, although given what has happened with defaults it is less likely than ever to get approved for a high DTI stated income loan. Shop around with different lenders and brokers to find the loan that best suits your needs. Start your search by visiting the Bills.com Home Refinance Resources page, where you will find a wealth of information about home refinance programs. If you enter your contact information in the Bills.com Savings Center at the top of the page, we can have several pre-screened mortgage brokers contact you to discuss the options available to you. I wish you the best of luck. I hope that the information I have provided helps you Find. Learn. Save. As far as I can see, I meet the eligibility requirements under HARP. I first contacted my current loan servicer and was told I don’t qualify because I used a broker. Maybe there’s something in the fine print that I’m missing because I don’t see anything about the use of brokers disqualifying borrowers.. I contacted another lender and was told that it wasn’t that I used a broker but that I refinanced the original loan. I don’t see anything in the requirements that says you aren’t eligible if you’ve refinanced your home. It says you cannot use HARP if you’ve already used HARP. That’s not the case with my loan. I purchased my home in May 2006 and refinanced in early 2008 (not under HARP). Who do I talk to find out if I qualify or not? This is very discouraging. I am under water through no fault of my own, I pay my bills on time, I have excellent credit, and I simply want to get a lower interest rate. Have you verified if your loan is a Fannie or Freddie loan? That seems a good place to start. You can either use the link or call the phone number listed in the article above. Other than that, try speaking with more lenders, to see if you can find one to help you. I have been to the Fannie Mae website and there was a match found for my address, so I'm assuming my loan is backed by Fannie Mae. My current loan servicer told me to call back at the first of every month because that's when the code changes. I have no idea who is responsible for the code and how changing it will impact me. Bottom line--I feel like I'm wasting my time. It might be helpful to know exactly which code the servicer refers to. Some error codes are relatively benign and can be remedied by, for example, entering the correct property address into DO/DU Express. Other error codes indicate something more serious. Ask your servicer which error code Fannie Mae returns exactly, and then what the code means. Please return here and share what you learned. Gave up on the codes and decided to start fresh. Saw an ad on local TV for HARP with no appraisal. Went to the website and filled out an application online on Thursday. Friday morning I had a favorable response. By the end of Friday night, we knew it was going to happen. Took my documentation in the following Tuesday. The loan will close before July 1st. What a pleasant experience. The lender is First Option Mortgage. The agent was puzzled why the others had balked at refinancing because I clearly met the HARP criteria and my credit score is 832. My message--don't give up! I am planning on applying for the Harp 2.0 mortgage. However, after reading your Harp Mortgage Ref information I am concerned about the Recourse and nonrecourse loans. I live in VA which is a recourse state. So if I refi through Harp 2.0 and not with my current lender, does this mean that my current lender can come after me for the difference. For ex: my underwater mortgage is 120,000 but I refi with a different lender at 80,000. Do I legally owe my current lender $40,000? What you described is a modification and not a refinance. Under HARP, there is no write-down or forgiveness of any loan balances. If you refinance a $120,000 home loan at 6% for a new HARP loan at 4.5%, the balance owed is still $120,000. The recourse/anti-deficiency rules caution we raise is for home owners in California and similar states where refinancing removes anti-deficiency protections in place for purchase money loans. Thank you. I appreciate such a quick response. Home mortgage lenders ask two basic questions about the borrower's ability to pay. First, is the borrower's income large enough to service the new expenses associated with the loan, plus any existing debt obligations that will continue in the future? Second, does the borrower have enough cash to meet the up-front cash requirements of the transaction? The home mortgage lender must be satisfied on both counts. I currently owe $250,000 in principal on my mortgage,and pay $2141 monthly this includes escrow.the loan is afixed 30 year 5.625% rate, and I have been paying bi-weekly since the beginning. My mortgage company is offering me a no cost closing 15 year fixed mortgage at 4.5% with 1 point.The monthly payment will increase $200, and will save appox $76,000 in intrest. Is it worth it?. Look at your finances as a whole. The interest on your mortgage is tax deductible, so you need to include that in your calculations. Review your retirement savings, too. If you have no 401(k), pension, or IRA account building savings for you each month, then you may pay off your mortgage in 15 years but at the expense of your retirement. If you can afford the $200 per month and are already saving your your retirement, then the refinance is a great deal. Fees and paperwork aren't the only drawbacks to refinancing, though. If your current mortgage agreement includes a prepayment penalty, you may lose money by refinancing unless you can negotiate with your lender to waive the prepayment clause. You are correct that anyone who will have to pay a prepayment penalty needs to factor that into any refinancing decision.